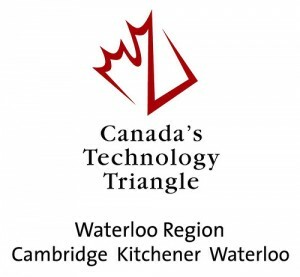 Advanced Electrophoresis Solutions Ltd. (AES) is located in Canada’s Technology Triangle . When we started AES back in 2010, we knew that we wanted to build a company that would be dedicated to providing the life science industry the most reliable, highest performance and highest throughput whole column imaging detection capillary electrophoresis system for protein separation, quantification, and characterization. Focused on providing cutting edge instrumentation, ampholytes and supplies, as well as superior customer support, we have successfully commercialized our unique technologies and are able to provide our customers all imaged capillary isoelectric focusing (iCIEF) related products such as proprietary WCID (Whole Column Imaging Detection) based high performance iCIEF instruments, WCID imaging cartridges (patent pending), reference materials, electrolytes and polymer solutions. Our products are the result of the extensive dedication of scientists and engineers continuously working in the fields of liquid phase separation science electrophoresis, chromatography and analytical analysis. As the CEO and Lead Scientist of AES, Dr. Tiemin Huang has over 25 years of experience in Analytical Chemistry, Separation Sciences, and Analytical Instrumentation. He has been working on the fundamental isoelectric focusing (IEF) process, whole column imaging detection capillary IEF (iCIEF) instrumentation, new method development and new technology commercialization since 1998. He made significant contributions to the development, commercialization, and application of iCIEF. Tiemin holds a Ph.D. in Analytical Chemistry from the University of Waterloo. 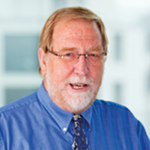 He is the co-inventor of the patent on high sensitivity fluorescent iCIEF and is the inventor of the patent application on preparative iCIEF and iCIEF-MS.
As a Scientific Advisor of AES, Dr. Gerard Rozing is a pioneer in High Performance Liquid Chromatography (HPLC) technology and has worked in the industry for over 30 years. He has been widely recognized by the separation science community as an outstanding researcher for his ability to bridge fundamental science with technical solutions in an industrial environment. Dr. Rozing has authored 57 well-cited publications, mainly in the separation sciences, and holds six U.S. patents. 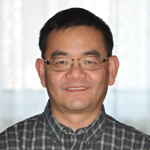 As a Scientific Advisor of AES, Dr. Xing-Zheng Wu has been involved in capillary electrophoresis (CE) research since 1992. He is a pioneer in whole column imaging detection CE. He is the first author of the paper (Electrophoresis, 16, 1474-1478 (1995)), which described the first iCIEF cartridge with membrane technology that allows continuous sample injection and analysis. He published over 80 original works in the fields of in-capillary pre-concentration for CE separation and detection of low concentration samples. In addition to CE, his research interests include optical beam deflection method, fluorescence, chemiluminescence, and nano-particles. Dr. Wu is a Professor of Fukuoka Institute of Technology in Japan. 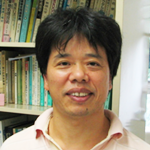 He holds a Ph.D. in Analytical Chemistry from the University of Tokyo. For helping AES commercialize breakthrough technologies, the federal Government of Canada and provincial Government of Ontario have provided us strong support, mainly from the Industrial Research Assistance Program (IRAP) and Ontario Centres of Excellence (OCE). We are delighted to bring our customers the total solutions for Protein Characterization. Our target market is life sciences in general, including disease discovery, disease diagnosis, drug discovery, and biopharmaceutical manufacturing.